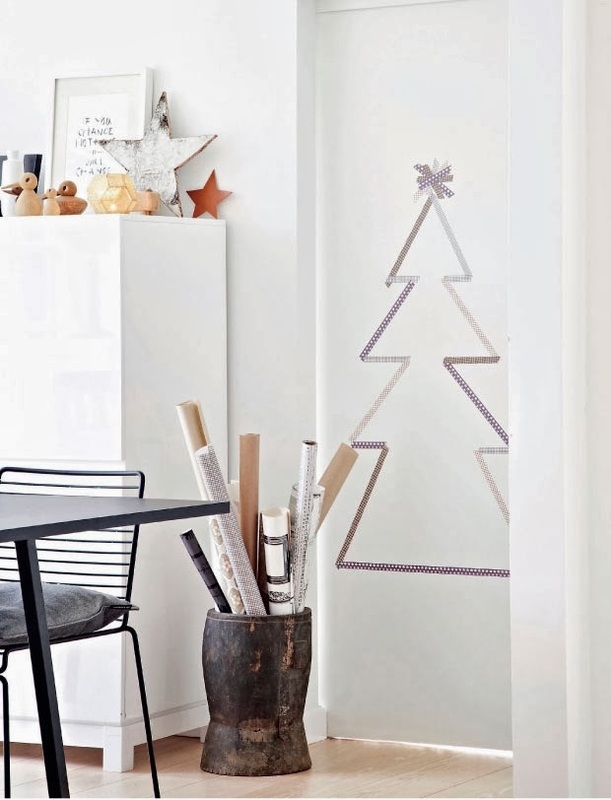 I am not sure this stunning home of 38 year of Danish photographer, stylist, and director Mette Wotkjær and her family needs much of an introduction, save to say it's teeming with inspiring Christmas decorating ideas using washi tape, pom poms, paper stars and an alternative tree. Just add snow and a roaring fire! Mette Wotkjær with kind permission. Femina. I love this home. 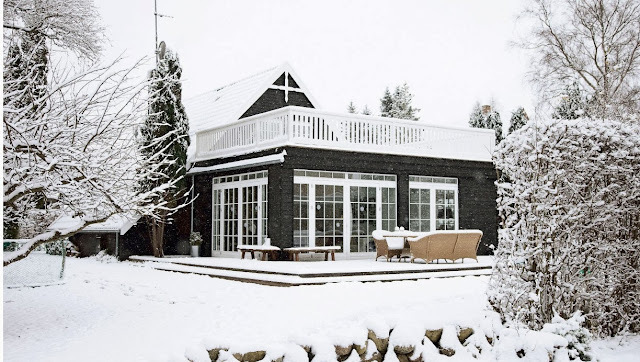 I could totally move in and celebrate Christmas here, how about you?! Get the look? 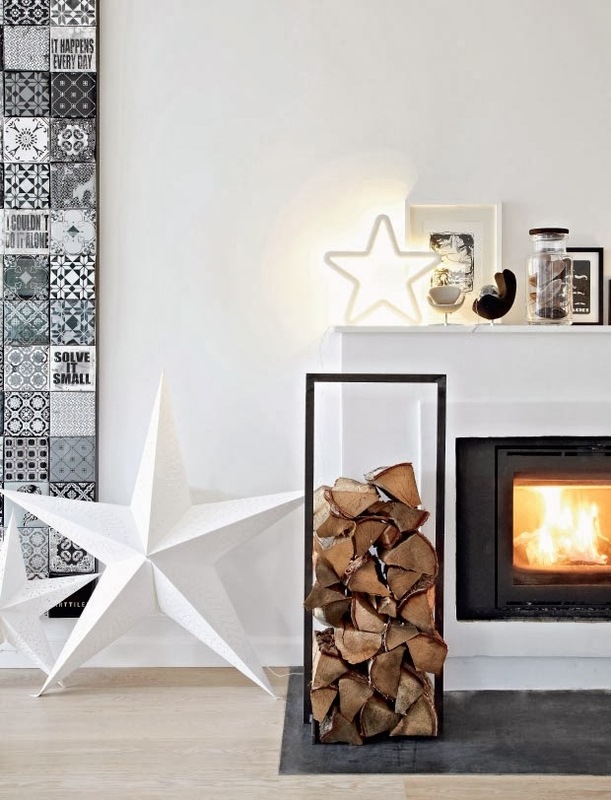 Paper stars, wood stars, pretty gift wrapping, washi tape, pom poms, sheepskin rugs, HAY tray side table, Eames DAW chairs (15% discount with code MYSCAN), black AJ floor lamp (10% discount with code SCANDI-HOME) . 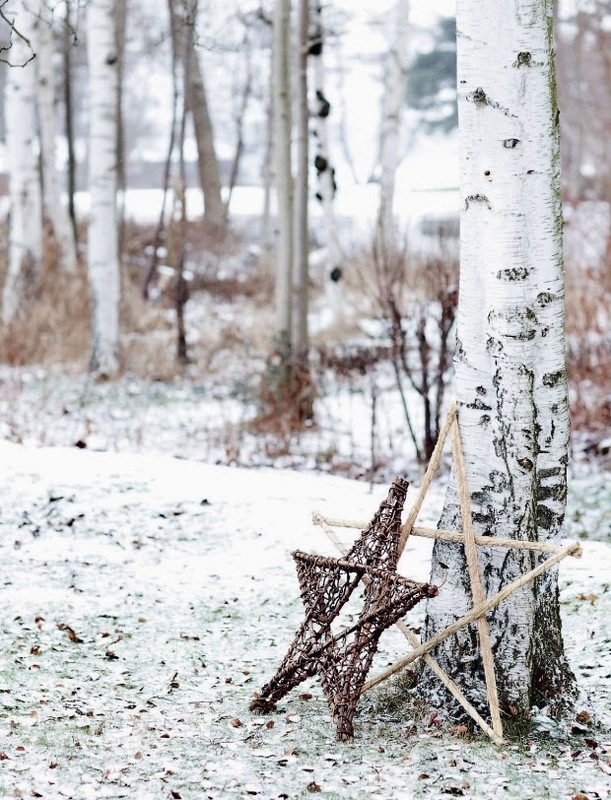 For more Christmas inspiration check out this Swedish home, this Danish home and this very pretty vintage inspired home. PS Mette has teamed up with writer and stylist Christina Kattrup to form Have a Look which sells smart, great value reading colours in very cool colours. 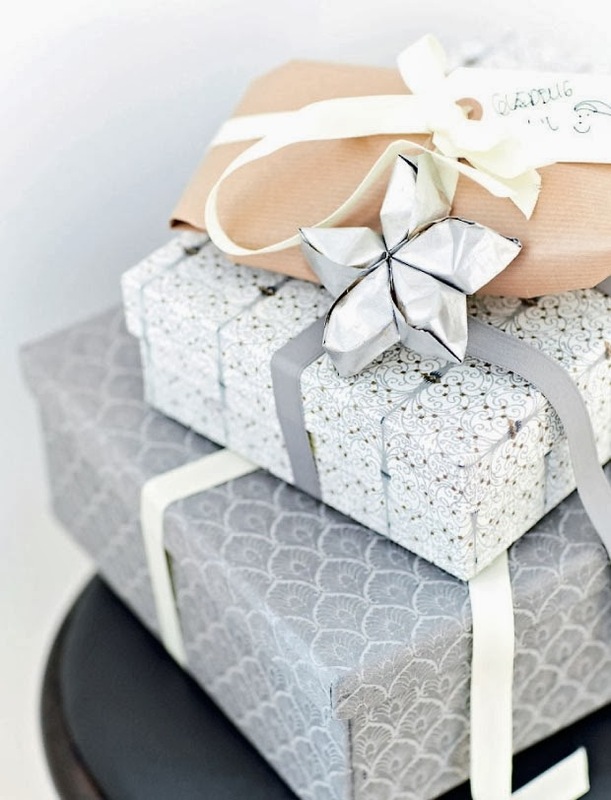 Take a look at the collection here! It's beautiful! Love the minimalistic style. Beautiful inside, and out. I could definitely celebrate Christmas there! 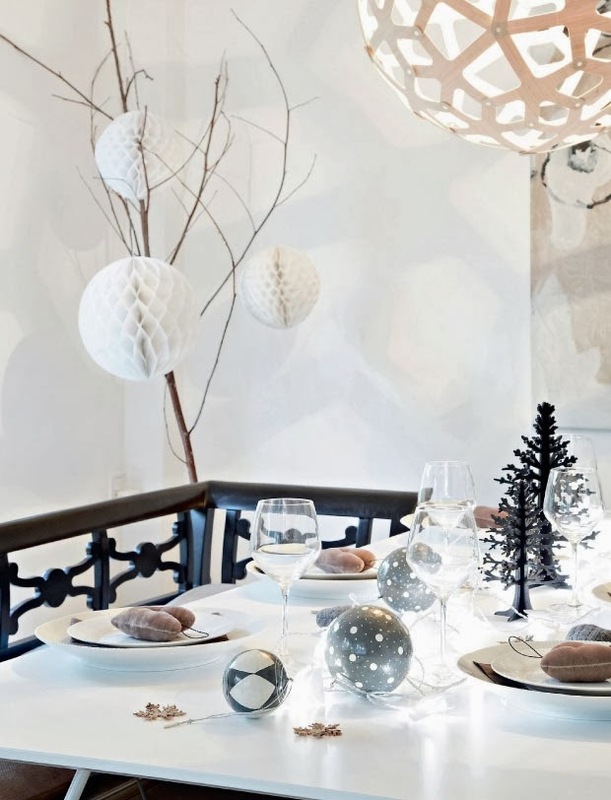 christmas decorations of the year 2013.
precioso........por que todas las casas nordicas son tan bonitas????? This is beautiful. Yes, I could definitely move in and celebrate christmas here! 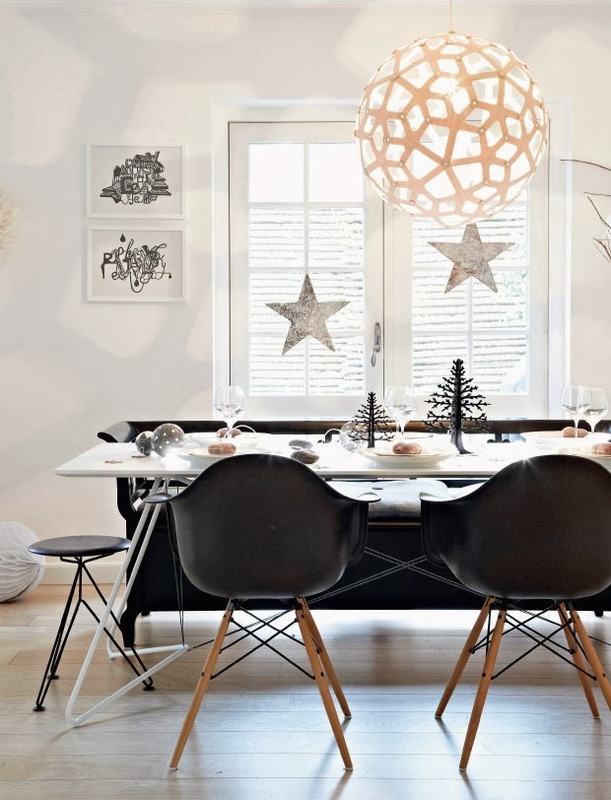 I am loving the lamp shade that is hanging above the dining table; does anyone know the brand/store where I can find it? Thank you so much for all the inspiration in this post. Wow, I love it so much. Absolultly wonderful and stylish. So pure and bright.